Foley Gallery is pleased to present Document, an exhibition chronicling a twelve-year project by iconic photographer Henry Leutwyler. This will be the artist’s third exhibition with the gallery. Document will feature a variety of possessions removed from their environment and intimately photographed as artifacts or bookmarks of our own understanding of American History. Representing icons of music, sports, politics and Hollywood, these still-life portraits invite the viewer to explore and perhaps better understand the owners to which the items once belonged. These previously owned objects directly or indirectly associate themselves to the person or to a particular time in our own history. 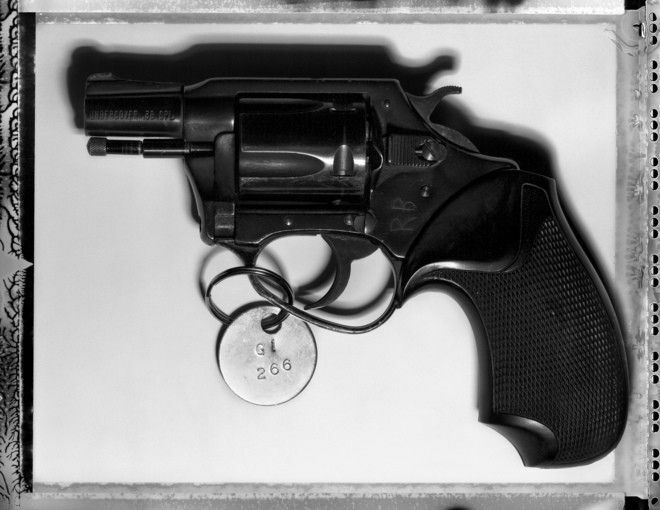 Some are tools of the trade, others are more common and mundane; a glove worn by Michael Jackson, a guitar that once belonged to Prince, Jack Ruby’s handgun and a key that turned the lock of James Dean’s door at the Iroquois Hotel. All stoic images, now endowed with new meaning and emotion once their owners are identified. This revelation raises their status and comes to signify events or entire lives of those that we remember so well as being pioneers, great achievers or simply dark and notorious for the actions they took during their lifetime.